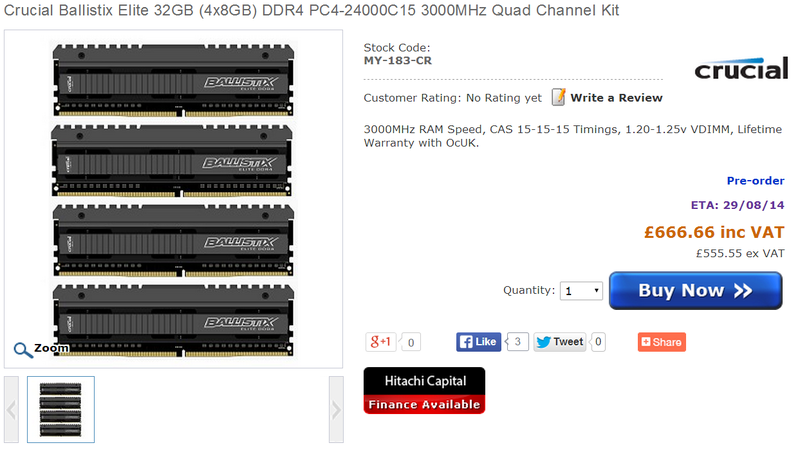 While browsing the internet this evening I found a news post that started quoting UK pricing for DDR4. Given the length of time between now and the official DDR4 launch, and given that DRAM manufacturers are already announcing their kits, a quick trip to the shopping part of Google gave some interesting numbers. 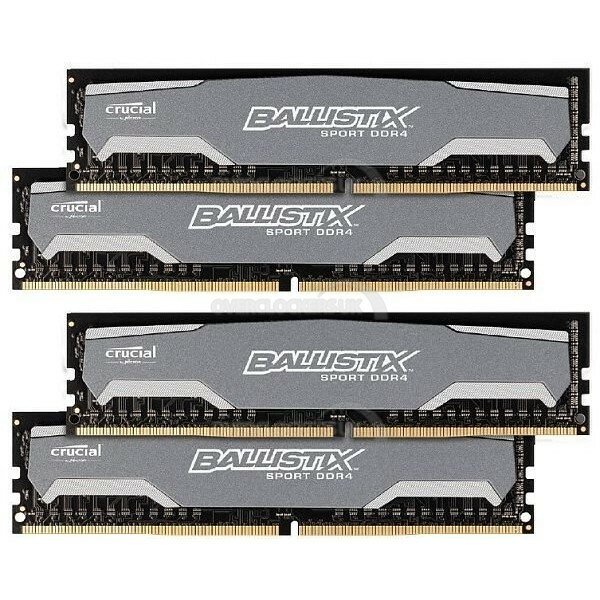 Several DDR4 kits had prices listed, all from one UK retailer and all from Crucial. All the kits on offer are quad channel, with 4x8 GB and 4x4 GB kits. Notice they are all pre-order, stating a 29/8/14 ETA (or 8/29 for the US) – the end of August. Aside from the obvious price premium over DDR3, as is normal for a new technology, it is worth noting that 4x4 GB of the 3000 C15 is the same price as 4x8 GB of the 2133 C16. 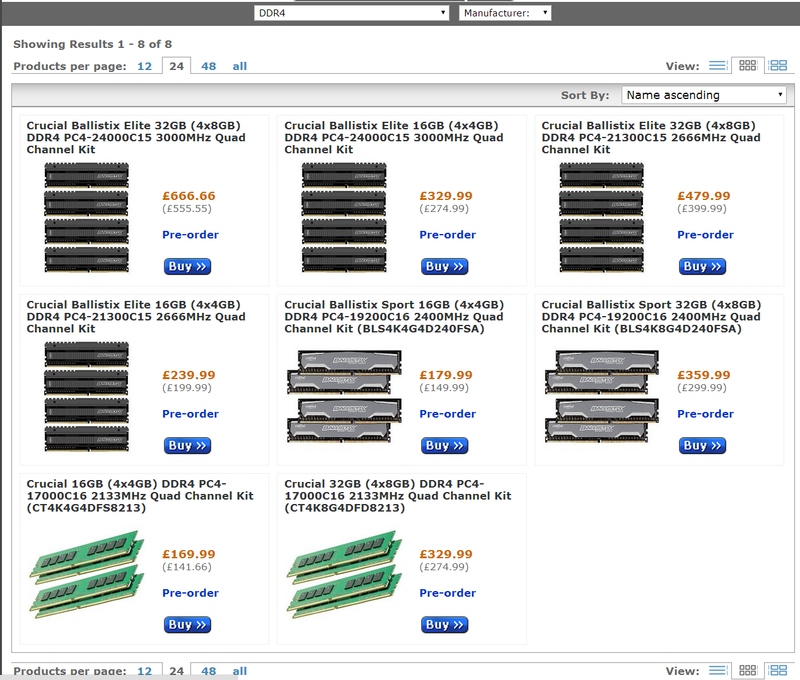 If Crucial are this early out of the gate with online listings, the other DRAM manufacturers should not be far behind. It's latency per clock cycle. Um. What are your current timings? Current DDR3 standard timings seem to be 1333 C9 and 1600 C11. High end is marketed as 2133 C9 and 2400 C11. Never run 1333 @ C9. I think it was on here they showed that all the mainstream timings were within 1-2% of each other performance wise besides DDR3 @ 1333mhz and CL9. I run 1333 @ CL8 and with everything else the same (besides the other timings of course) Im actually able to get slightly higher scores in Sandra and PC Mark because my sticks run at 1T instead of 2T. I see a lot of people toss up benchmarks and instantly can tell they havent set their timings. I have a basic understanding of what most of them do but I am great at figuring out the best timings just by the feel of the machine. Definitely not the sexiest part to know but once you get good with timings youll realize basically every stick has a sweet spot (unless its defective).